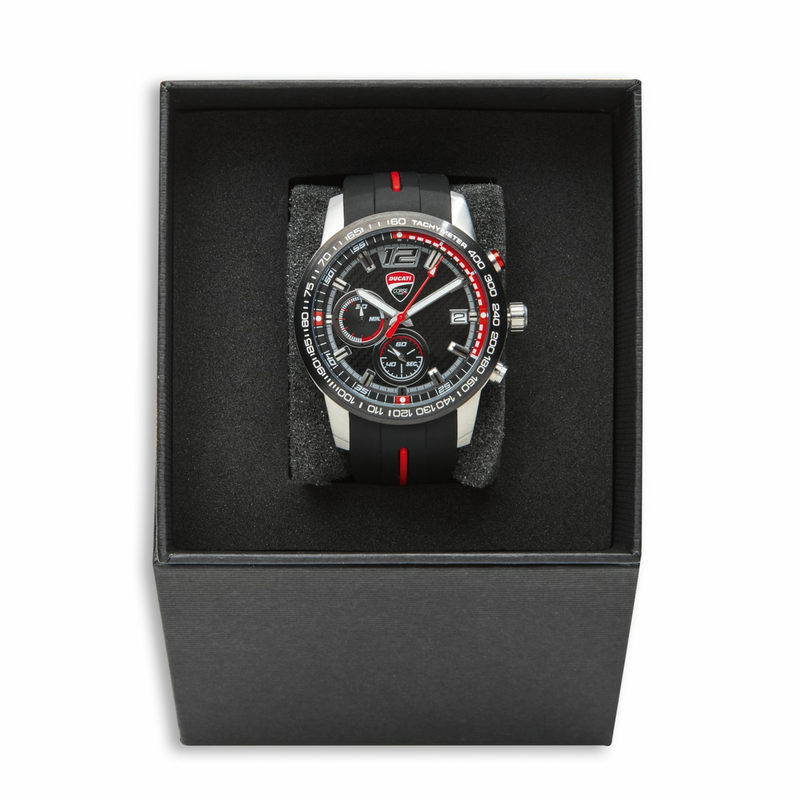 100% racing look for the Ducati Corse quartz analog stopwatch. Style and performance combine in this model with brushed steel casing, ring with tachometer scale, steel crown and back, soft touch rubber strap, and dial with a carbon effect. Water resistant to 5 ATM.